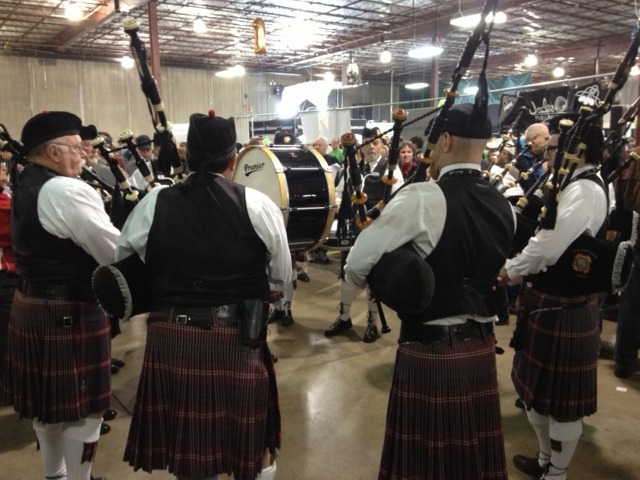 Pipers and Derby Girls and Belly Dancers, Oh My! Look around. Potential book characters are everywhere. I thought of this while at the Big Tap In, a beer festival my husband (aka The Engineer) and I attended last month. The attendees were a diverse bunch. There were suburban dads on a boys’ night out, cool hipsters with a need to be where the action was, and young men and women who appeared to attend simply because $48 to try beers from more than seventy-five breweries is a pretty good deal. Of course, there were also plenty of true beer aficionados (like The Engineer). Beerologist, libationist, beer devotee, wert guru, beer maven, beer expert, hophead, pisspot, tippler, grog artist, boozer, beer buff, slops surveyor, ale addict, hops handler, quaffer or chairman of the brewed (terms gleaned from realbeer.com website) — call them what you will, they were everywhere. And since like all avocations, beerology has its own lingo, the nomenclature of the day included words like hops and malts, casks and kegs, lagers and ales. But it wasn’t the quaffers’ secret language, the suburban dads or the hipsters who caught my imagination. It was the appearance of the pipe band, the roller derby skaters and the belly dancers. Clearly, the organizers of the Tap In have a wide view of what constitutes entertainment, which in my opinion only adds to the event’s appeal. A writer could base a character on any member of the above groups. What makes someone decide to become a roller derby girl? How good a skater do you really have to be? Does it take long to become proficient on the bagpipes? And do belly dancers actually feel more in touch with their womanly selves than the rest of us? For that matter, how can anyone really enjoy a hoppy beer? Naturally, the biggest question is “Why?” Why does anyone hinge onto a particular hobby, form of recreation or occupation? A writer burns to explore these questions, to learn the language if you will, of a variety of pastimes. We often find ourselves thinking, “You know, I could use someone like her in my book.” The result is often a total immersion into an alternate life as we create someone new with some of these characteristics. I think that’s one of the appeals of both reading and writing. They give us the opportunity to go outside ourselves, to live a different life without leaving our own. This entry was posted in Rave, Writing and tagged Beer, Beer Festival, Big Tap In, Eos Belly Dancers, Hops, Literary characters, Little Steel Derby Girls, Veterans Memorial Pipe Band. Bookmark the permalink.